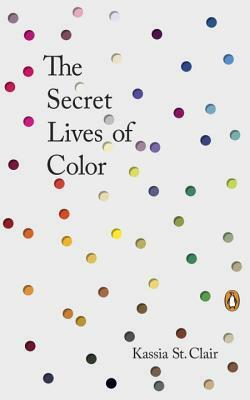 The Secret Lives of Color tells the unusual stories of seventy-five fascinating shades, dyes, and hues. From blonde to ginger, the brown that changed the way battles were fought to the white that protected against the plague, Picasso’s blue period to the charcoal on the cave walls at Lascaux, acid yellow to kelly green, and from scarlet women to imperial purple, these surprising stories run like a bright thread throughout history. Kassia St. Clair is a freelance journalist and author based in London. She graduated from Bristol University with a first-class honors degree in history in 2007 and went on to do a master’s degree at Oxford. There she wrote her dissertation on women’s masquerade costumes during the eighteenth century and graduated with distinction. She has since written about design and culture for publications including The Economist, House & Garden, Quartz, and the New Statesman. She has had a column about color in Elle Decoration since 2013 and is a former assistant books and arts editor for The Economist.